GoUltra.com - Why Should You Register? Sign up using our QUICK Registration to receive daily emails about available loads and post your available equipment. Register here. 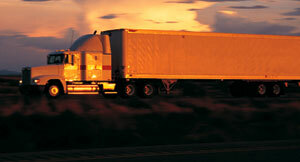 View Your Loads - View an up to date list of all the loads you are moving for Ultra Logistics. You can also search for loads you've moved in the past. Online Check Calls - Make your checkcalls online and receive rewards points you can redeem for valuable merchandise. Post Available Equipment - When we have a load in the vicinity of your equipment our system will automatically inform you. GoUltra.com Carrier Rewards - You will earn points that are redeemable for valuable merchandise through our rewards program. Free Load Matching - The destination of all loads you are moving on behalf of Ultra Logistics are automatically cross referenced with new loads as they become available. Update Notifications - Registered carriers can login and control how they are notified when there is a match (by email or fax). Subscription Management - Manage your subscription to the Ultra eLoads email bulletins. Bid on Freight - You will also be invited to bid on freight. Submit registration form ... Complete the registration form and then submit. Get confirmation email ... After submitting your registration form we'll send your email address a confirmation email with more information. Login & manage your preferences ... You are now ready to log into the GoUltra system. Once the login is successful you will be able to update your profile and manage your notification preferences, name, address and phone numbers. Get email for confirmation & carrier code ... Within one business day of submitting your registration, you will be assigned a Carrier Code(s) from Ultra Logistics. This code(s) will be emailed directly to you and serve as confirmation that your COMPLETE registration process has been finished.